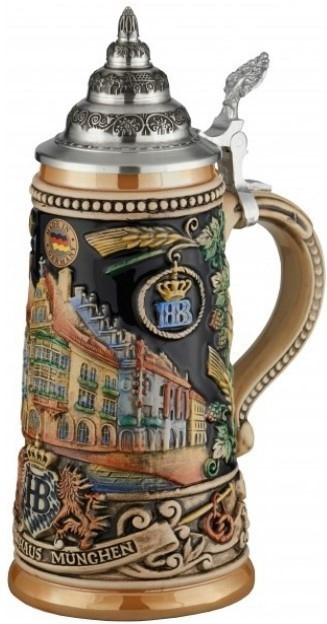 This magnificent authentic German beer stein features the picture of the original Munich Hofbrauhaus (HB). The picture is featured in a hand colored relief technique. The center bottom of the stein depicts the Bavarian HB logo with an inscription of " Hofbrauhaus Munich". This stein is featured as a limited Edition beer stein and is officially licensed by the Hofbrauhaus.